This image was taken from my iPhone, that’s why the text and buttons are so small. I’ve now made a main menu, which will be updated to be more polished when the game is complete and done. I’ve also added a score system, which isn’t currently saved, but will be in due time. Let me know what you think and by all means give feedback. This is very early, and I’ll soon be adding enemies and items for you to collect and get more score with, so keep coming back for more builds. 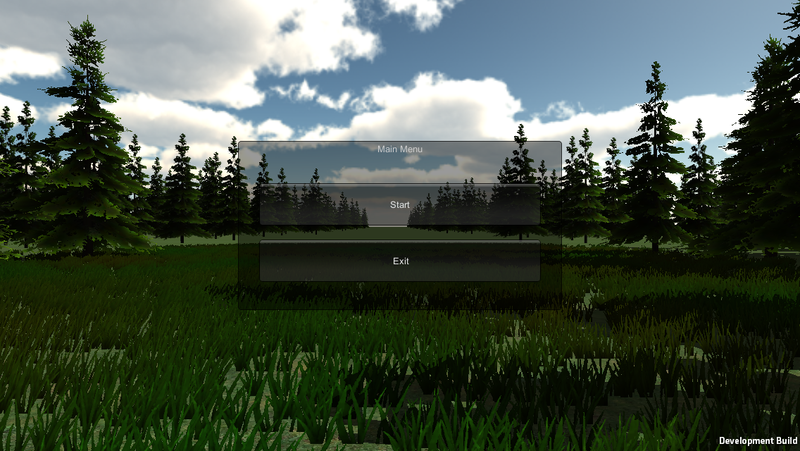 Good thanks buddy, currently researching shaders to implement grass and tree’s waving without using Unity’s built in terrain system. I have a new level that generates with trees, so it’s going quite well.